Should the state of Massachusetts give a seal of approval to witch doctors who claim that the eye of a newt can cure cancer? How about lending credibility to homeopaths who say that diluted sugar water can heal your strep throat? What’s actually happening isn’t much different. This week, Governor Charlie Baker could sign a law creating a licensing board for naturopaths (who practice alternative medicine). 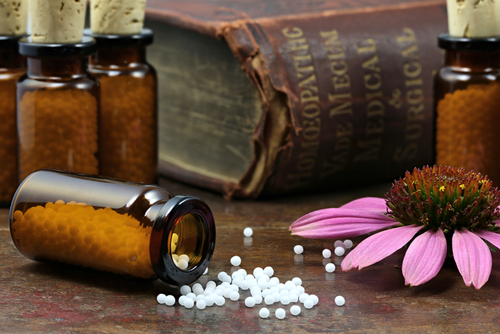 A licensed naturopath sounds prestigious, but the reality is that, licensed or otherwise, practitioners use a lot of so-called remedies that have no basis in science and don’t actually help their patients. The state shouldn’t be in the business of giving them a modicum of respectability. … because licensing adds legitimacy to a wide array of alternative therapies, pressure for health insurance coverage is likely to follow. With health care premiums already soaring out of reach for many, the state needs to hold the line against new costs. While a state licensing board might weed out dangerous practices, it would also put the state in the position of differentiating between good and bad pseudoscience. For now, any state recognition of naturopathy would be premature. It may be true that nonmedical approaches can complement modern health care. But far more rigorous study is needed. No one’s saying people can’t seek out naturopathic doctors if they want to waste their time and money. It’s like going to church: They have every right to do whatever foolish things they want. But the state shouldn’t lend any credibility to so-called leaders in the field. The people of Massachusetts deserve better than that. January 9, 2017 Christian Show Host: Gay People Should Be "Disqualified" From Teaching Due To Their "Immorality"